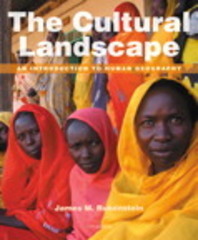 The Cultural Landscape 11 Edition Trusted for its timeliness, readability, and sound pedagogy, The Cultural Landscape: An Introduction to Human Geography emphasizes the relevance of geographic concepts to human problems. The relationship between globalization and cultural diversity is woven throughout; Rubenstein addresses these themes with a clear organization and presentation that engages students and appeals to instructors. The Eleventh Edition focuses on issues of access and inequality to discuss negative trends (such as the economic downturn, depleting resources, and human-caused climate change) as well as positive steps taken (sustainability, technology, regime change, women’s rights, and more). An updated design is optimized for eBooks and more effective student learning. The cartography and photos are fully updated.